Clumbers are gundogs, they are athletes, they have inquirying minds and a need to be active a lot of the time, although they do sleep lots too. 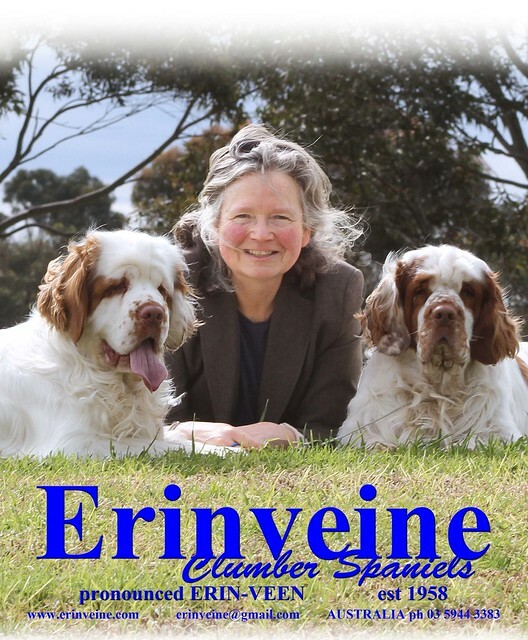 Having now done two Rally Novice titles, if you are a good trainer and have a good rapport with your dog, Clumbers are going to be spectacular at this, and at dancing …. as with showing .. you will need to get some ‘ring miles’ to conquer your apprehension and get the super razzle from a Clumber … they share when exulted and the thing is not an everyday drain on their spirit. They’ll handle competitive obedience but that is an older sport very much entrenched for the likes of Border Collies. I would not anticipate any Clumber to be a class winner in agility, they can do it but their forte is more on one plane. I still have not warmed too, I don’t think you’d get the length of leap to win, assuming that is what it is about, I don’t doubt that most Clumbers would love the participation though … some Americans are doing it.